Is It Time to Stockpile Light Bulbs? Behold! 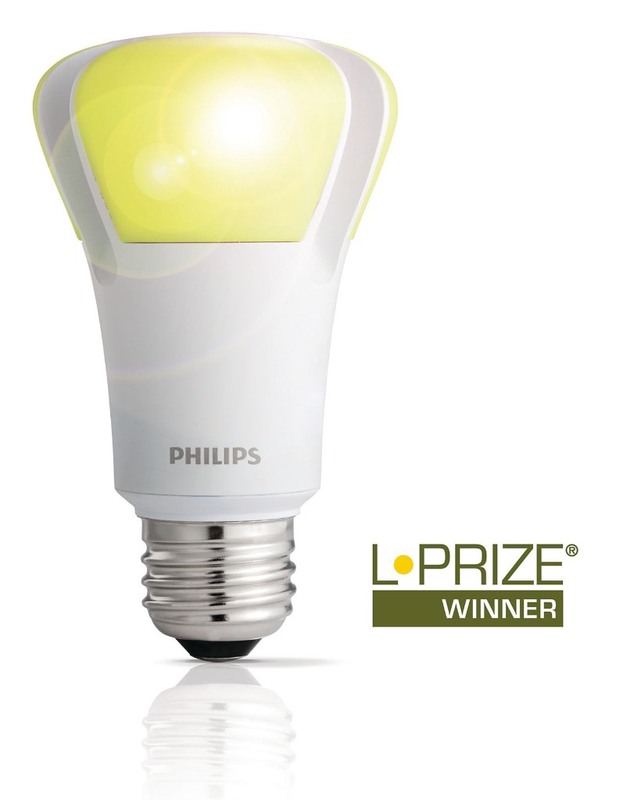 The new award-winning LED bulb from Philips. This 21st century tech may save the world. But there’s a catch. The 133 year-old answer used to be – 1. And that was Thomas Edison. Now, the number seems to be more like 4,815,162,342. Thanks to The Energy Independence and Security Act of 2007 signed by President Bush, incandescent bulbs aren’t cutting it anymore and need to get 25% more efficient or else. As we approach Earth Day you might say that’s a good thing. The problem is the law creates a mandatory phase out of many incandescent bulbs, beginning with the 100-watt bulb this October. The kill dates for other bulbs all the way down to 40 watts continues through 2014. Now, the targeted bulbs can get a reprieve if manufacturers can improve their efficiency numbers, so maybe there’s no cause for alarm. As far as I’m concerned, this is all pretty complicated, and I’m feeling a bit in the dark on what’s really going on. I just want the lights to work. I’m not yet ready to hoard light bulbs in preparation for the new green Dark Age to come, but I’m not glowing either. One bright spot in this dim tale is the news that our government also wants light bulb manufacturers to innovate. Just fixing the old filament model isn’t enough. Also in 2007, the DOE announced their $10 million Bright Tomorrow Lighting Prize (L Prize) competition to spur the development of a 60 watt equivalent LED bulb with strict standards to replace incandescents. And this weekend, the wait for consumers to illuminate their bright and efficient future is over. The L Bulb goes on sale this Sunday at retailers like Home Depot. You might want to be the first in line, because I bet there’s going to be a stampede to snap up this new bulb of the future. It will sip only 10 watts, last for 20 years and offer a natural, dimmable light. Plus, there’s no mercury in it like those icky compact fluorescent bulbs. And the price tag for the new darling L Bulb? Cancel the trip to Home Depot. I don’t care how efficient or how long lasting the bulb is. How can $50 compete with your warm and cozy $1 incandescent? Philips says discounts will bring prices down through sales via utility companies. Look, I totally understand that as a country we have to become more energy efficient. Our old light bulb tech is bleeding energy. I get it. So our government takes a tough stand for the greater good and eliminates a lot of standard light bulbs, as we know it. You now need new tech to light your home or you’ll be breaking out that box of candles from your closet. Then the government hosts a little $10 million contest. And only one player enters. And then the one winning entry costs $50. Do you see a little problem here? I’m just a little unsettled about how I’m going to be turning on the lights next year. The whole thing seems half-baked. The timing of this tech sea change is simply too quick. Get us a bulb that can serve as an energy efficient replacement bulb that people will actually buy. If Uncle Sam could put a man on the moon in the ‘60s, I think he can do a little more on Earth today to help keep the lights on at an affordable cost. New tech is supposed to make your life easier. Not force you to go broke, because an update to a hundred year old technology isn’t ready for prime time. This is not a nice-to-have item at home. We’re talking about light so you can see at night. Remember, that cool nineteenth century invention? Aren’t you a little bit worried?